It is every homeowner or renter’s worst nightmare: you walk into your home only to discover that all of your valuables have been taken. Strangely, it does not appear as though forced entry took place. In fact, the lock on your door seems to be entirely intact. If this situation has ever happened to you, you are not going crazy! In fact, the situation is more common than anyone would like to believe. If you have recently purchased a home, rented a new apartment or condo, or taken possession of a new vehicle, are you certain that you are the only one with keys? If the lock has not been changed, it is likely that there are other people in the world who have access to your home, car, and belongings. 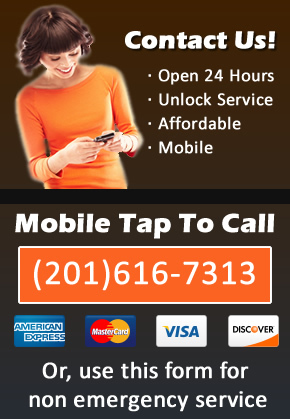 The Jersey City Locksmith Team has the solution that you have been looking for. 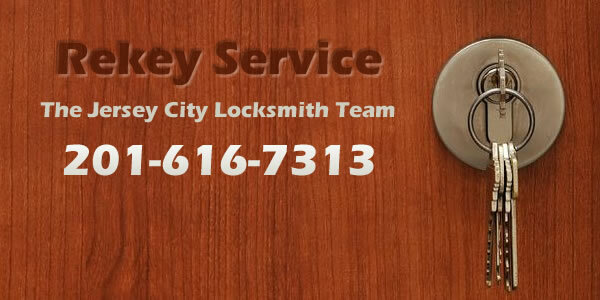 If you are concerned about the existence of duplicate keys to your home or car, our experienced team of locksmiths can help you. We have perfected the method of carefully rekeying your lock, so that only your keys will be able to open it. We manage this through an artful process of altering the tumbler and waver configurations of the locking methods. When we are done, the only person who will be able to access your home is you. Do You Need The Locks Changed? You have just purchased a new home. Someone else has copies of the keys to your new car. You are renting a new apartment. You have allowed others into your home, and it is possible that they have made unauthorized duplicates of your keys. You have experienced a break-in with no apparent lock damage.